Spirits have gender, professions, and personalitites, but, above all, idiosyncrasies. The word zar also refers to reconciliation rituals practiced throughout the life cycle of an individual to pacify those spirits, reversing the effects of possession from affliction to well-being. Zar possession is a permanent state; a zar can never be exorcised. Zar is both a possessing spirit and a set of reconciliation rites between the spirits and their human hosts: living in a parallel yet invisible world, the capricious spirits manifest their anger by causing ailments for their hosts, which require ritual reconciliation, a private sacrificial rite practiced routinely by the afflicted devotees. Originally spread from Ethiopia to the Red Sea and the Arabian Gulf through the nineteenth-century slave trade, in Egypt zar has incorporated elements from popular Islamic Sufi practices, including devotion to Christian and Muslim saints. The ceremonies initiate devotees – the majority of whom are Muslim women – into a community centered on a cult leader, a membership that provides them with moral orientation, social support, and a sense of belonging. Practicing zar rituals, dancing to zar songs, and experiencing trance restore their well-being, which had been compromised by gender asymmetry and globalization. 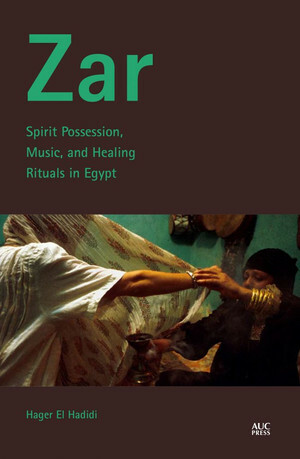 This new ethnographic study of zar in Egypt is based on the author’s two years of multi-sited fieldwork and firsthand knowledge as a participant, and her collection and analysis of more than three hundred zar songs, allowing her to access levels of meaning that had previously been overlooked. The result is a comprehensive and accessible exposition of the history, culture, and waning practice of zar in a modernizing world.